Big Ben is one of the most well-known landmarks in London. 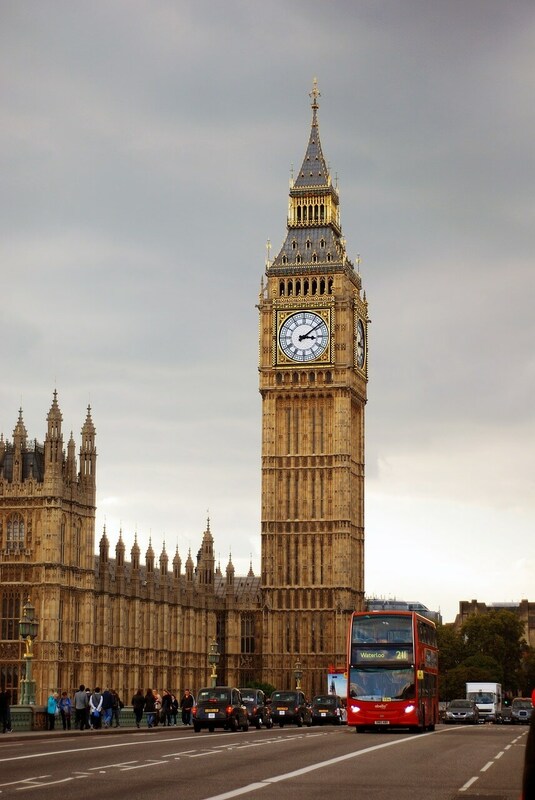 While many people believe it to be the clock tower next to the Houses of Parliament, the name more properly refers to the bell inside the clock tower. Said bell weighs over 13,670 kilograms or 30,137 pounds. The tower itself is more properly called the Elizabeth Tower, although it was given that name only in 2012 to honor the queen’s Diamond Jubilee. 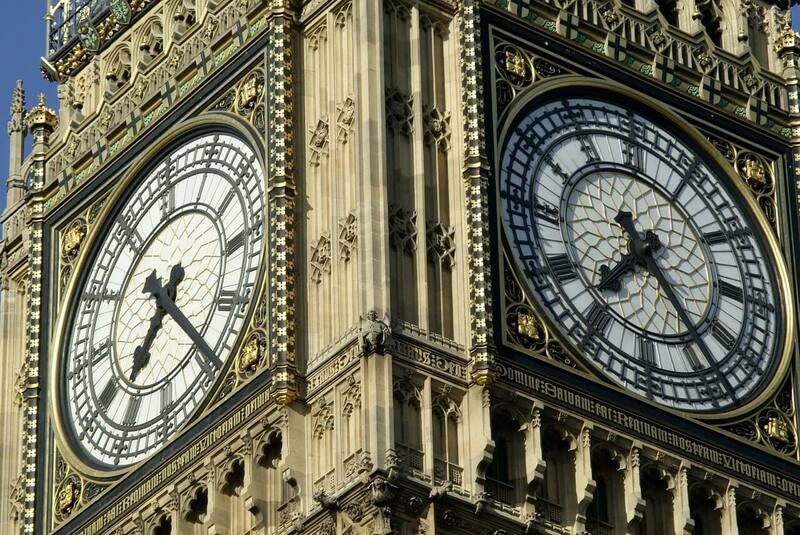 Big Ben is believed to have been named after one of two people. The first is Benjamin Caunt, who was a champion heavyweight boxer during the 1850s. The second and more likely honoree is Sir Benjamin Hall, who was the First Commissioner for Works from 1855 to 1858. He was said to be around 6 feet 4 inches tall, and was heavy in the bargain. Just how big is London Big Ben? The tower stands 96 meters or 315 feet tall. Parliament is housed in the Palace of Westminster, and the original Palace was built sometime in the Middle Ages. Both Parliament and its predecessor, the Royal Council, met there. In 1834, a devastating fire broke out, and most of the Palace, including both Halls of Parliament, was destroyed. King William IV offered Parliament the use of Buckingham Palace. His motives weren’t entirely altruistic, as he wanted to get rid of a building he disliked. Parliament, however, deemed the Palace unsuitable for their needs and politely refused the gift. Other suggestions for relocating were also rejected. The King then ordered Parliament to “make plans for its permanent accommodation.” To that end, they held a contest and invited architects to submit designs for the new Palace. A commission was appointed to study the designs and select the best one. It received 97 designs and chose the one submitted by Sir Charles Barry. His design, however, had not originally included a clock tower. He added one to his design in 1836. Construction of the clock tower began in 1843. Materials for its construction came from all over England and were transported by river. The Elizabeth Tower was built from the inside out so no scaffolding was visible. There were many delays during construction, and it fell five years behind schedule. The tower was finally completed in 1859 to little fanfare. Designing the clock proved to be problematic and probably contributed to the delays. Sir Charles was an excellent architect – but he did not know how to make clocks. He therefore turned to a more knowledgeable friend for advice. That friend, Benjamin Lewis Vullamy, was the Queen’s Clockmaker and began to design a clock for the tower. Other clockmakers, including Edward John Dent, had their own ideas about the clock, and that led to quarrels. Those disputes resulted in another contest being held to determine who would make the clock. The Astronomer Royal, sir George Airy served as referee. In 1846, Sir George issued a pair of challenges to the aspiring clockmakers. The first stroke of each hour had to be accurate within a second, and the clock’s performance had to be reported to the Greenwich Observatory twice a day. Those exacting demands gave the clockmakers fits and resulted in seven years’ worth of delays. During that time, Sir Charles appointed a barrister and amateur clockmaker named Edmund Beckett Denison to aid him. In February 1852, Sir Charles appointed Dent to build the clock following Denison’s design. The comedy of errors continued when Dent and Denison found the space inside the tower was too small for the planned clock design. It cost them £100 to make modifications. Dent died in 1853, and his son Frederick took over the job. He finished the clock a year later, and it cost £2500. He had to keep it at his factory, however, for the tower still wasn’t finished. When the clock was finally installed in the Tower in April 1859 – it wouldn’t work. The minute hands were made of cast iron and were therefore too heavy. The clockmakers thus replaced them with lighter copper hands, and it began to keep time on May 31, 1859. When Parliament is in session, a special light above the clock faces is lit. A stack of coins on the pendulum regulates the clock’s timekeeping. The BBC first broadcast the clock’s chimes on December 31, 1923. The clock continued to keep time even after a bomb destroyed the Commons Chamber during WWII. What does a tour involve? Unfortunately, visitors from other countries may not take a tour inside the Elizabeth Tower. They can however, visit the neighboring Houses of Parliament. While the Elizabeth Tower is not open to the general public, residents of the United Kingdom can write their MP to arrange a tour. In August 2017, refurbishment work commenced on Elizabeth Tower and Big Ben. The work is due to last three years. During this time, the tower will be scaffolded and the clock mechanism will be stopped for several months (no chiming or striking), with the exception of some special events including New Year’s Eve and Remembrance Sunday. Find out more about the refurbishment.